Certain large corporations have made it a business practice to pay their employees as little as they can by law, the minimum wage, $7.25. Others pay very close to the minimum, say, $7.50 or $8. These are typically in retail, fast-food, and other service jobs. Full-time workers at these wages are typically eligible for Federal and State benefits. A May 2013 report by the Democratic staff of the U.S. House Committee on Education and the Workforce estimated a taxpayer cost of $3,015 per Walmart employee because of Walmart workers’ reliance on taxpayer funded programs. That's BILLIONS of dollars per year. The owners of this business are raking in obscene profits. If Sam Walton’s heirs actually worked for their Walmart dividend checks, they would be handed $1.5 million every hour. (This calculation is based on share ownership data from Walmart’s 2014 filings and Walmart’s declared FY 2015 dividend of $1.92 per share). In America, you're supposed to make money if you own a successful business. However, you're not supposed to rely on government help to do it. Call your legislators! Raise the minimum wage! Hoof trimming contraption for cattle without horns at Split Acres Farm in Epsom. Trimming hooves in the squeeze chute at Miles Smith Farm. Kelsie struggled a bit in the squeeze chute as she settled in for her yearly pedicure. 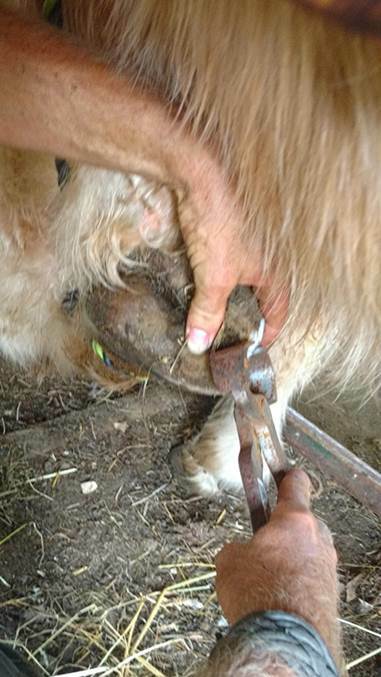 With a rope attached below her “dew claws,” we gently lifted her hoof, fastening the line to a bar at the top of the chute so that we could safely trim her long hooves. 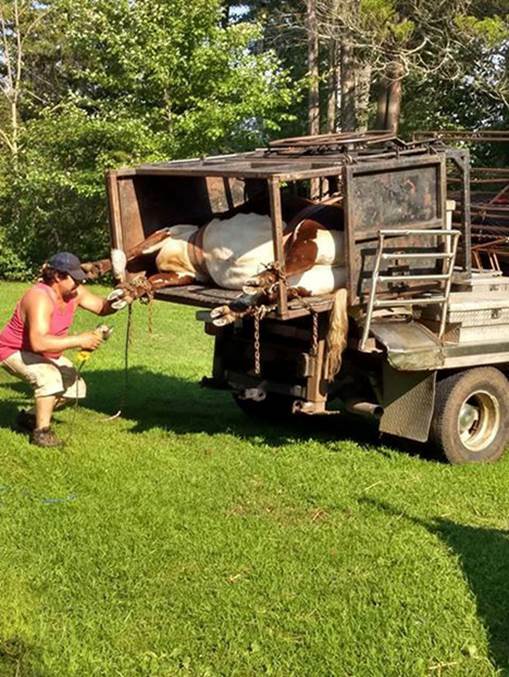 Most of our cattle don't need hoof pedicures, but Kelsie was one of the few in our herd who needed this treatment. Cattle have cloven hoofs with two dew claws above the hooves that help give the cow traction. Cattle forage for a living and rely on their feet to carry them to the tastiest grass or, in winter, hay. Just like humans, cattle don't like to walk if their feet hurt or their toes overlap. (Each half of a cloven hoof is really a toe that is mostly toe nail.) Long, untrimmed toes can make walking painful and inhibit their foraging. The less they eat, the thinner they get, and nobody wants a skinny cow. Some of our cattle naturally trim their hooves just by walking. Others, like Kelsie, need some spa time. Cattle are terrified of falling, so they don't like to stand on three legs while we suspend the fourth. To help alleviate this fear, we press the sides of the squeeze chute against their sides. It's kind of a cage with adjustable metal sides. You might have seen a squeeze chute in the 2010 movie “Temple Grandin” in which that brilliant medical researcher demonstrated the calming effect of pressure. Squeezing comforts the cow and assures her she won't fall. Our squeeze chute has a “headlock” that can gently hold the cow's head steady so she won't thrash about. But because Scottish Highlander cattle have long horns, we can't use the headlock, so we hold the cow steady with a halter. 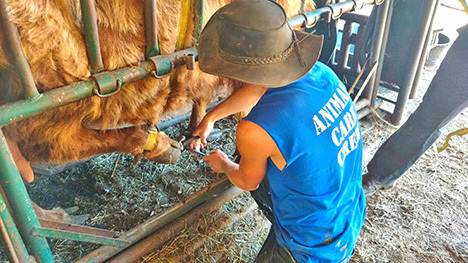 Cattle farms often hire a professional hoof trimmer who will arrive at the farm with a contraption that lifts the cow onto her side for easy access to her feet. Then they use a tool that looks like a sander to rasp away the excess hoof. It's a quick, painless way to trim, but unfortunately the arrangement doesn't work with horned cattle. The cow has to lie flat on the tilted bed and she can't if she has horns. It would be like a person trying to lie in bed with a sombrero on. Without the cow and her hooves secured in a horizontal position, it's hard to get a good angle and the right leverage for using the sander. Besides that, the cow would probably pull her foot away from the vibration. So we use a hoof-cutting device that resembles a huge pair of pliers. It only took about fifteen minutes to trim each of Kelsie's hooves. Thankfully, out of sixty-two cattle in our herd, just four cows needed a pedicure this year. Kelsie's hooves look perfect now, ready to take her all over in pursuit of that nonstop munching with friends that cattle enjoy so much. Maybe next time she'd like to go for stunning look-at-me hooves with some red and racy polish from Chanel. Carole Soule is co-owner of Miles Smith Farm. She can be reached at cas@milessmithfarm.com. Pittsfield Listens is thrilled to welcome our newest team member, Amanda Pawlik, as Youth Organizer! As an artist and educator, her dedication will take Pittsfield Youth Voice in it Together (PYViiT) to new heights this year. Amanda brings a passion for exploring stories from many perspectives and giving voice to those who need it most. 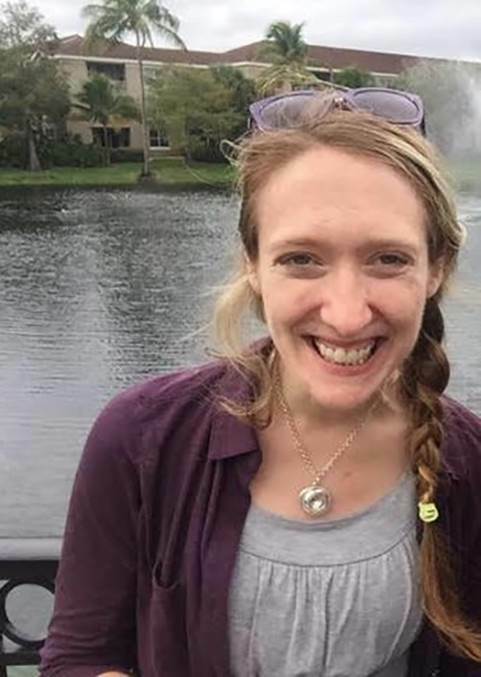 Amanda is excited to meld her experience in the arts with the work of Pittsfield Listens in deepening the mission to encourage underrepresented youth, parent, family, and community voice on issues and policies that directly affect their educations and lives. If you're a high-school aged young person interested in joining PYViiT, or if you're interested in intergenerational partnership building- send Amanda an email youthorganizer@pittsfieldlistens.org or swing on by our office at 74 Main Street in Pittsfield, in the Pittsfield Community Development Center. Welcome, Amanda! PD veteran Sgt. DiGeorge was recognized for receiving the Silver Star for Bravery & Life Saving Award from Chief Collins. Last March Sgt. DiGeorge was first on scene at a fire and heard ammunition exploding inside. He found two people outside. One attempted to go back into the burning house but was stopped and literally carried through deep snow to safety by DiGeorge. Joe Collins took over the position of Chief long after the event, but when made aware of the circumstances felt this recognition was deserved and overdue. The BoS feel our present police force is exemplary and events like this serve to reinforce that opinion. Town Meeting Warrant (approx. an 8 pg ballot printed both sides with 32 questions) was reviewed article by article. This year being the first since the town elected to adopt SB2, it’ll be the first time every question will appear on the ballot. There is no “town meeting” as we’ve known it, rather a “deliberative session” Feb. 4 where residents can amend articles, but no final vote will be taken. The BoS is concerned that voters may not have opportunity to familiarize themselves with every issue on the ballot and encourage every voter to do as much research in advance as possible. Planning board and budget committee recommendations will appear at the end of each question, as appropriate, and the select board recommendation will be on every article, because we feel voters have the right to know where their elected officials stand. Remember they are recommendations only, and everyone should vote their conscience. The ballot can be reviewed at town hall and on our website prior to election day and any member of the board of selectmen is happy to discuss questions voters have- just call. In loving memory of Craig “Stubby” St. Laurent March 29, 1969 – January 10, 2018. You will always be in our hearts. Went to a planning board public hearing the other night to hear and give input on the selectmen's zoning proposals and the proposal to repeal zoning. Thanks to our Board of Selectmen for challenging the steady drumbeat of more zoning laws. 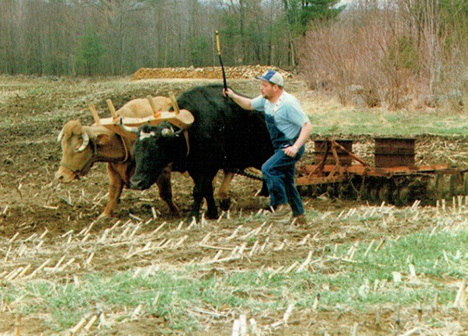 Selectman Carl Anderson did a good job explaining how some of the past new laws had really gone too far in removing more of our property rights. He convinced everybody in the room, except the majority of the planning board, that some of their laws are not legally defendable. When it came my turn to explain my desire to repeal zoning, I hit them with climate change, and if we wanted to do anything about it, we would have to reduce our energy burn by as much as 70%. Homelessness up 10% in two years, statewide. 100,000 Americans dead in one year because of drugs and suicide. And now we are going to put Teen Challenge through the zoning board and they did not have a lawyer the last meeting. I'm worried for them. On another note, the planning board seems to think the biggest problem with Pittsfield is the number of rental units. I seem to think our biggest problem is the way the state funds our school. When you control the land, you control the people. If you are not growing, you are dying. If ever there was an ideal “New Year’s Resolution” for the believer, it would be Philippians 3:10, “that I may know Him and the power of His resurrection, and the fellowship of His sufferings, being conformed to His death.” Paul had been walking with Christ for 30 years, yet he was “resolved” to know Him better! He didn’t want to know more about Him. He wanted the most intimate (heartfelt) relationship with the Lord that he could have. On his way to Damascus Paul (Saul) first met the risen Savior, in the power of His Resurrection! This is where Paul’s hope was! “If Christ is not risen, [our] faith is futile; and [we] are still in our sins!” To know the power of His Resurrection is to believe in all He has done on our behalf, that we may enjoy perfect fellowship with Him through His renewing, sanctifying power. “If any man be in Christ, He is a new creature; old things have passed away; behold, all things have become new” (I Corinthians 5:17). Paul, because of his belief in the finished work of Jesus Christ, was sealed with the Holy Spirit, fully equipped unto every good work. This was the only qualification necessary to live a life of godliness. While we cannot fully realize the fellowship of Christ’s sufferings, we can be partakers of His sufferings for the sake of the gospel, being conformed unto His death. The Greek word for resurrection means “out from the dead ones.” Having died to sin, may we rise in virtue of our new life in Him! “If Christ is in you, the body is dead because of sin, but the Spirit is life because of righteousness” (Romans 8:10). What wonder, joy and awe we can have in the hope of His resurrection! Earl Warren, Jr. born January 13, 1948 passed away on January 7th, 2019. 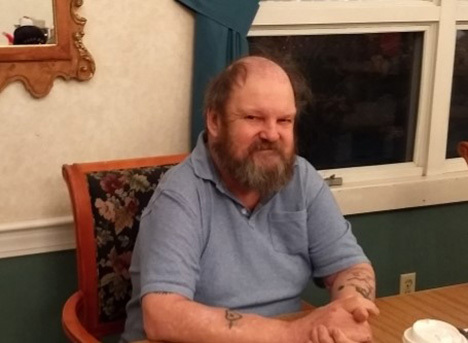 Formally of Pittsfield, NH, Earl spent the last few years living in Milford NH. Where he was often visited by his brother Roy and Roy’s family, reminiscing about their childhood days over Earl's favorite seafood dinner. Earl was predeceased by his father Earl Warren, Sr. and his mother Amy L. Emerson He was also predeceased by his brother George Emerson. Surviving family members include brothers Walter and his wife Betty Warren, James Wesson, Fred Emerson, Roy and his wife Rosanne Emerson, Thomas Emerson, Daniel and his wife Ruth Emerson. Sisters Hazel Emerson, Amy and her husband Michael Eastman and many nieces and nephews.